During the last few months we owned very few things. If we were wearing it or carrying it, it had a specific purpose and it had been tested thoroughly. As a result we have more advice to give on gear, specifically for thru-hiking, than we know what to do with. We figured, why not share it with the interwebs, especially any future thru-hikers out there who are looking for advice on what gear to use! Our first segment: feet. Quite a few people have asked us about our boot/trail runner choice. So now is when we share everything we learned about buying the right shoes, boots vs trail runners, wearing them correctly, taking care of your feet, and the secret weapon to healthy feet, great socks. One of Danner’s Award winning boots. We tried on this boot but found it too heavy duty for the AT. It would make a great work boot though! The Asolo Women’s Fusion GV boots. Waterproof, pretty lightweight, and my boot choice for the first seven hundred miles of the AT. Loved them. To begin with, we quickly learned that buying the right shoes is no easy process. Kyle and I had always been boot wearers, so when we started looking at shoes for the AT we decided to go with boots, at least to start out with. Now, there are so many different options when it comes to buying boots, it can be a little overwhelming at first. There are heavy duty, full grain leather, completely waterproof boots. There are lightweight, breathable, non-waterproof boots. There are technical hiking shoes. There are trail runners. 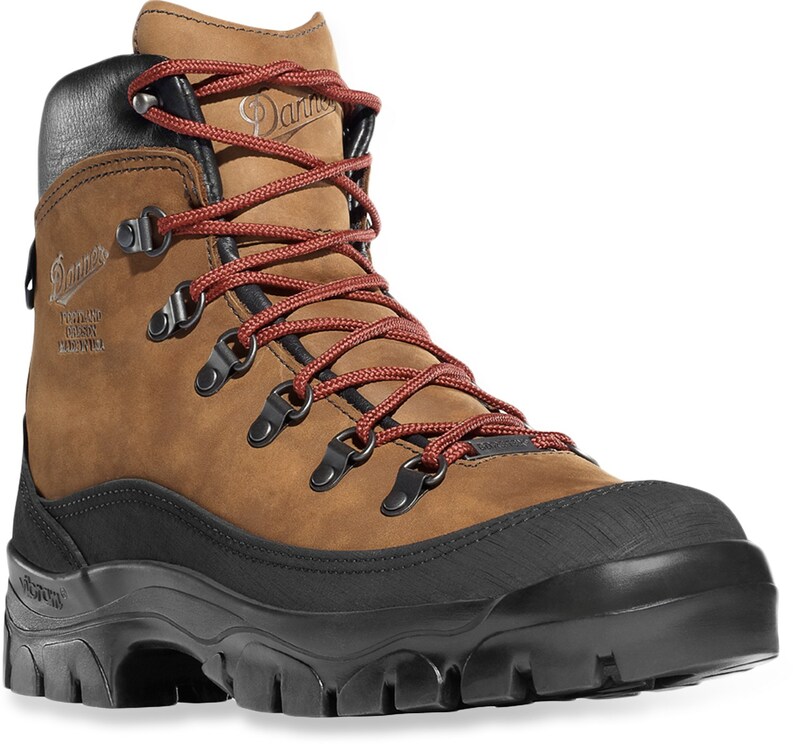 After a lot of research we decided to start out with fully waterproof boots, mostly because I had been reading horror stories about other AT hikers wading through sleet and snow. The last thing I wanted was wet, cold feet. Even though we tried on a number of different brands, including Danner, we ended up settling on our personal favorite brands. One thing that I believe about footwear is that if you find something that works, no need to switch it up. 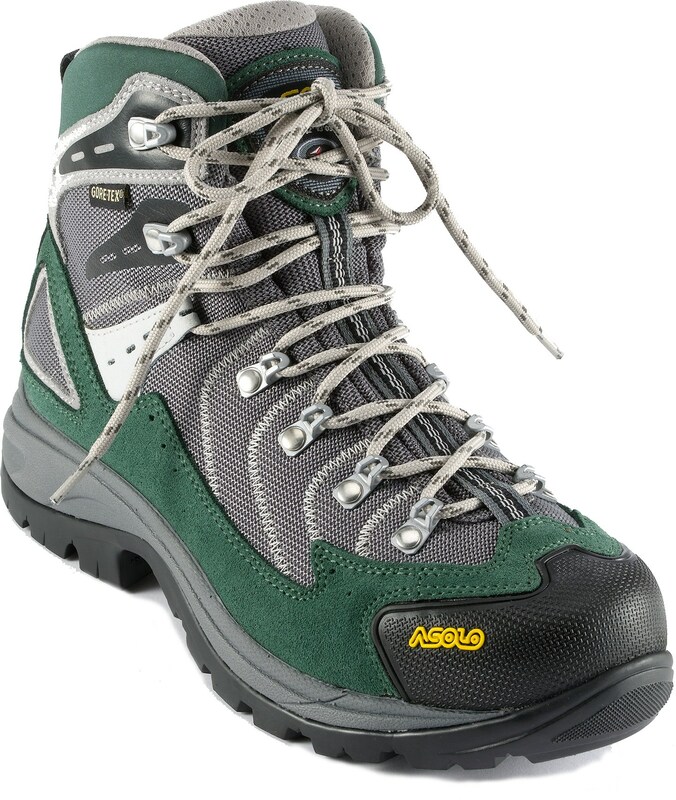 I bought a pair of Asolo Fusion GV Women’s hiking boots. 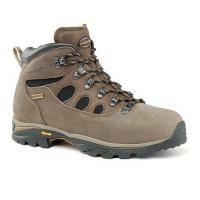 They are a nice lightweight, completely waterproof, leather nylon boot. 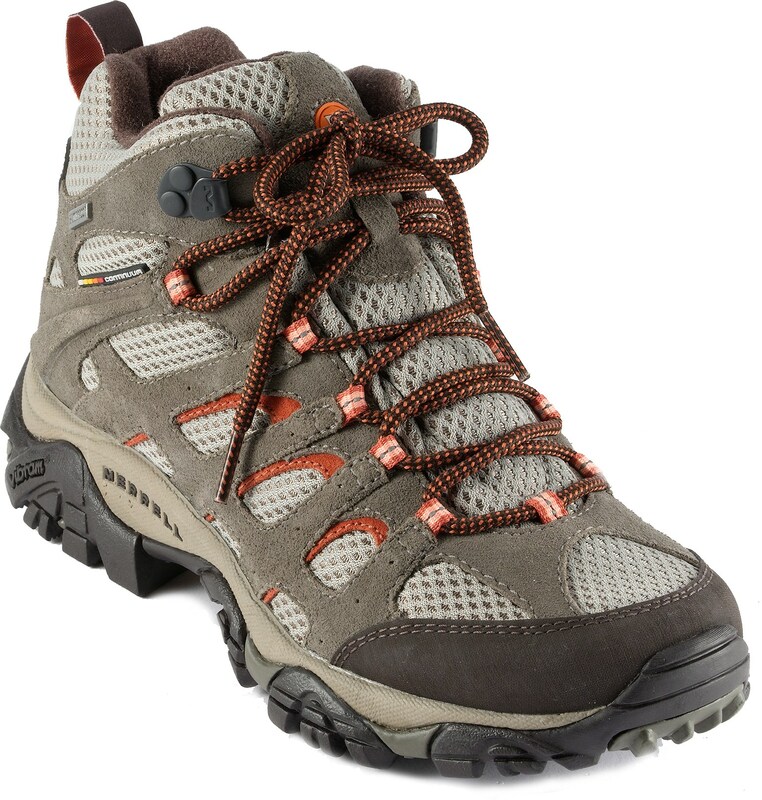 Not everyone likes Asolo’s, they are a little stiff to start off with and definitely require some breaking in. But I found them to be completely water proof (as long as I was wearing gaiters), warm, comfortable, supportive, and I never got a blister. Kyle stuck with his preferred brand, Zamberlan. Zamberlan makes high quality, leather, backpacking boots that are fully waterproof and Kyle swears by them. Kyle’s boot of choice, the Zamberlan 298 Tundra GT. A high quality boot that stays light and waterproof at the same time. Our boot choices, in symphony with our gaiters, kept our feet completely dry for the month and a half we used them. A lot of people claim that the problem with waterproof boots is that once they get wet they never dry out. While Kyle and I didn’t go swimming in our boots we did wear them for a lot of rainy days and slog through a lot of puddles in them. We took every precaution to dry them out when we were staying at hotels (take out the insoles and stuff newspaper inside them). And we ALWAYS wore gaiters. Our shoes never got wet on the inside. They served us well, so don’t rule out boots just because trail runners are such a fad. Most importantly, spend the money. This is going to be a common theme. A good pair of boots is probably going to put you out two hundred bucks or so. 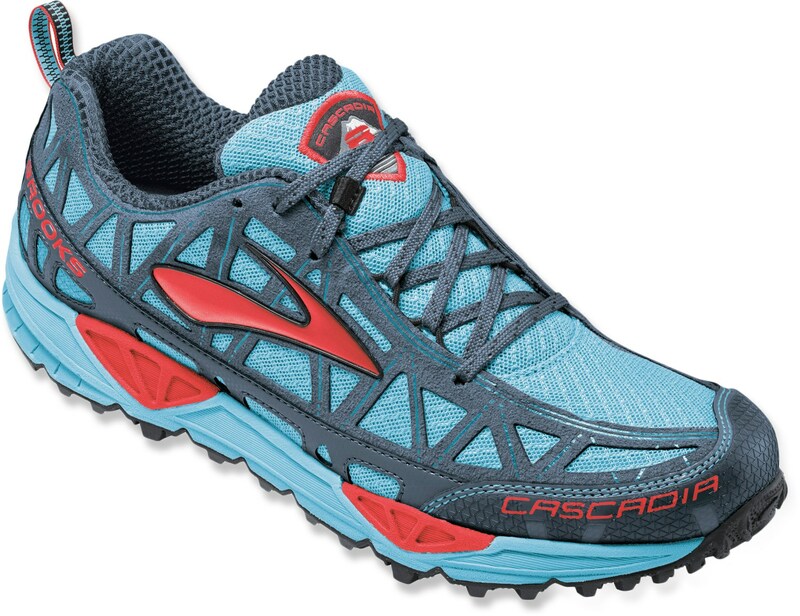 The Brooks Cascadias. Yes, they are brightly colored, but once you rough them up a bit they aren’t so offensive. Plus they are so comfortable you won’t even notice! Now, on to trail runners. Most people tend to be strictly boot wearers or trail runner wearers, but Kyle and I can see the positives in both. We switched to trail runners in Roanoke, VA. We chose Brooks Cascadias because they were on sale at REI. We fell in love. If you find something that works for you there is really no reason to go back. As far as I can tell trail runners are pretty much all the same, just pick one and see how it works out. It’s normal to pay somewhere between seventy to one hundred and twenty dollars for a good pair of trail runners. Check Amazon before you purchase full price ones, you can probably find them for cheaper there. We found our Brooks lasted around eight hundred miles, while other hikers with Salomon, New Balance, or La Sportiva seemed to be getting closer to five hundred miles out of them. But different people wear differently on their shoes and really you have to pick what is most comfortable for you! One last note, a lot of trail runner addicts will insist that one of the best perks of trail runners is how fast they dry when you get them wet. Sure they dry faster then Gore Tex but they aren’t some quick drying miracle shoes. We put on wet shoes more often when we were using trail runners then we did when we were using our water proof boots. If its humid or cold out and your trying to dry your shoes in a shelter or outside your tent they don’t dry any faster then a pair of boots. Take precautions with boots like these! They might feel good for day hikes but the AT will rip these apart, and your feet along with them. What about all those in-between shoes? Some examples might be Merrell’s Moab Ventilator. This is a mid hiking boot that isn’t waterproof but is supposed to breath better because it doesn’t have Gore Tex linings and be lighter. You know what they say, one pound on the foot is five on the back. People buy them because they are lighter but still supportive like a boot. If you have been using a mid hiking boot for years and you love them then, by all means, keep hiking in them! But I have seen this quality of boot take out too many hikers, ruin to many toe nails, and make to many blisters to not say something. Unfortunetly, I just think that most mid hiking boots are not high quality enough to treat your feet the way they should for months of hiking. Don’t want to take my word for it? You can ask my mom how her Merrell’s treated her feet when she came to hike with us. Sure they had been fine at home on the mossy soft trails of the Northwest but they were no match for the rocky, uneven, rooty, rough trails of the AT. Another brand to watch out for, Keen. I hate to brand bash, but a lot of people we knew had problems with these boots on trail. These socks will be described as hiking socks but beware, they will give you blisters in no time. If you must buy them maybe they can be your camp socks? See how these socks have shape and support? That is what you want to look for when buying socks, whether they are ankle or mid calf hight. This also helps them to not stretch out after days of use. Choosing the right footwear is very important but its also important to take care of your feet on trail. One of the best things we did for our feet was part of our nightly routine. We would soak them when we got to camp in a spring or stream, dry and lotion them and then gold bond them. This helped them from getting callused or cracked. Soaking them helped the muscles and every night before falling asleep we would give them a good rub. Another life saver: body glide. We used this for everything but at one point my heels were rubbing a little bit and body glide fixed the problem. Another VERY important factor in foot care is your sock choice. 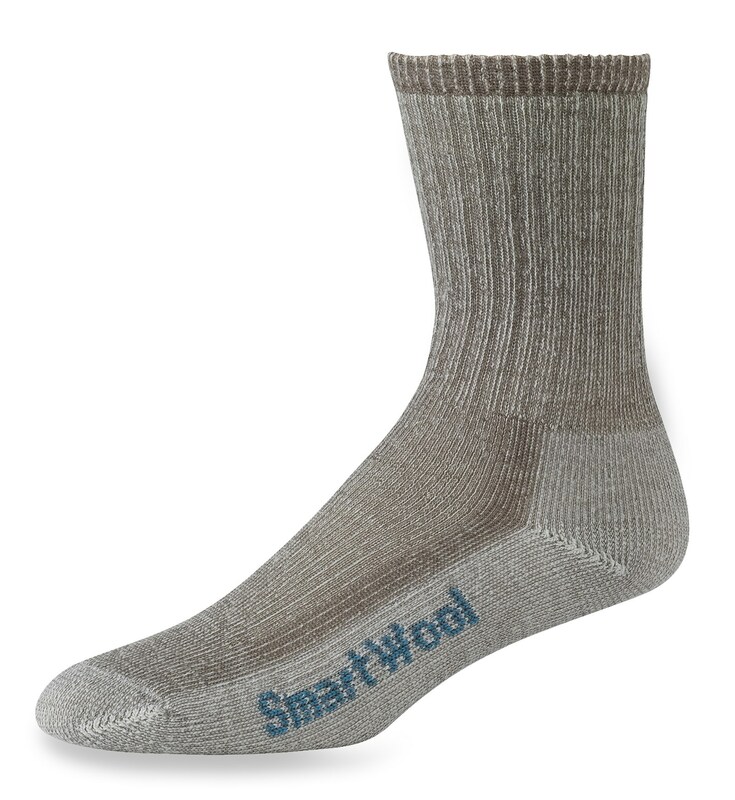 NEVER buy socks that have no shape built into them, like a Smartwool or REI tube sock. Tube shaped socks are great for lazing around the house but they will give you blisters instantly on the trail because they bunch and stretch out easily. 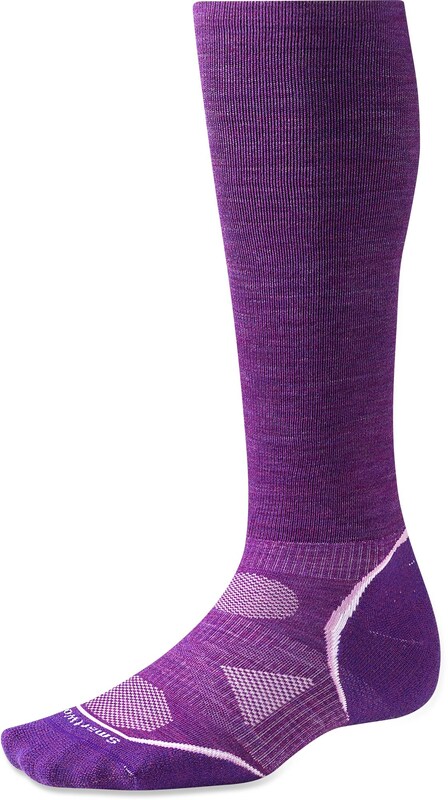 Make sure you buy socks that have support, padding on high impact areas, and hold their shape. Our favorite brands include Fox River, Smartwool, Darn Tough and Wigwam. As Lt. Dan said in Forrest Gump, take care of your feet. Make smart decisions, spend the money, and buy good socks! Thank you for thorough advice in this post and every single other post! Your blog has been essential to my material preparation for hiking the AT next year. Thank you, thank you, thank you! No problem! Keep reading, we have some more advice coming, including advice on tents, comfort vs lightweight, mail drops, ect! Thanks for reading!